The Federal Reserve released its June 2011 Federal Open Market Committee meeting minutes Tuesday. It contained no surprises and, as such, mortgage rates in TN have idled in the hours since. 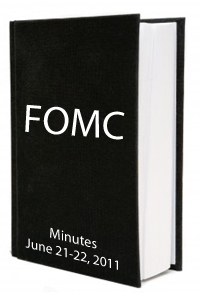 The Fed Minutes is published 8 times annually, three weeks after each scheduled Federal Open Market Committee meeting. It’s the official log of the meeting’s conversations and debates. The Fed Minutes is the lengthier companion piece to the FOMC’s more well-known, post-meeting press release. As compared to the brief-and-focused press release,by comparison, the Fed Minutes are long and detailed. June’s press release was 458 words long. Its minutes totaled 6,889 words. The June minutes reveal some interesting perspectives from within the Federal Reserve, too. On housing : The market remains depressed. Foreclosures are “holding back” construction. In addition, the Federal Reserve discussed whether a new round of economic stimulus was necessary. Committee members agreed that a poor outlook for employment in the medium-term would make this move more likely. There was little that surprised Wall Street in the June Fed Minutes. This is why market reaction has been muted since its release. The FOMC meets next August 9. If jobs data continues to weaken between now and then, expect the stimulus chatter to continue. It’s unclear, however, how this would impact mortgage rates. For now, mortgage rates remain near their all-time lows, and they have much more room to rise than to fall. If you’re shopping for a loan, therefore, the timing is right for a lock.